We're pleased to present to you this year's Annual Quality Water Report. This report is designed to inform you about the quality water and services we deliver to you every day. Our constant goal is to provide you with a safe and dependable supply of drinking water. We want you to understand the efforts we make to continually improve the water treatment process and protect our water resource. Daleville Water Board utilizes groundwater from four wells which pump water from the Clayton and Ripley Aquifers. The groundwater supplied to our customers requires no special treatment; however, chlorine is added for disinfection purposes. We are committed to ensuring the quality of your water. We have completed our Source Water Protection Plan, which provides more information such as potential sources of contamination. The assessment plan is available for review in our office. I'm pleased to report that our drinking water is safe and meets federal and state requirements. If you have questions about this report or concerning your water utility, please contact Orson Bullard at (334) 599-3747. We want our valued customers to be informed about their water utility. 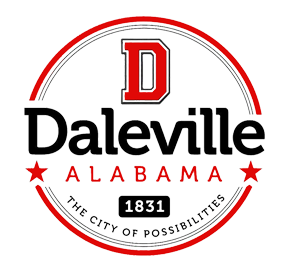 If you want to learn more, please attend our regularly scheduled meetings held on the third Tuesday of each month at the Daleville City Hall located at 740 South Daleville Ave. The Daleville Water Board routinely monitors for contaminants in your drinking water according to Federal and State laws. This table below shows the results of our monitoring for the period of January 1 to December 31, 2018 unless noted. All drinking water, including bottled drinking water, may be reasonably expected to contain at least small amounts of some contaminants. It's important to remember that the presence of these contaminants does not necessarily pose a health risk.